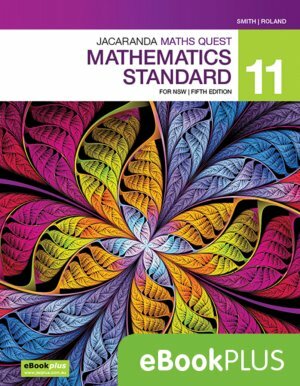 This digital-only title has been designed to meet the requirements of the new Mathematics Standard Stage 6 Syllabus (2017). Written entirely from scratch using specific language from the Syllabus, the new edition provides teachers and students with clear links between the content and the curriculum. The new edition is accessible to learners of all levels, featuring powerful visuals to help with understanding, simple language and fully worked solutions for every question (now available at no extra cost). Each topic contains a summary of all of the key learning points, as well as two topic-level exercises comprised of 30+ questions.